Here’s a new release from the Islay Farm Distillery. Kilchoman’s Sanaig is the latest addition to the core line-up and combines Bourbon and Sherry cask influences upon the distillery’s peaty spirit. As with all Kilchoman’s whiskies, this is very young but full of Islay character. Nose: Chocolate raisins, prunes, fried pineapple, salty crisps, earthy peat smoke, bandages, milky coffee, wet towel funk. Palate: Soft plum flesh, pears, and a floral perfume. Toffee and vanilla leading to spicy white pepper and cinnamon with a touch of creamy oak. The signature coastal peat tang comes through too. Finish: Chewy peat and liquorice strips with more sweet toffee and sea salt emerging. A sweet peat treat. The sherry influence here brings soft fruit notes, much sweeter than the relatively dry and meaty Loch Gorm 100% sherry release. Some people aren’t a fan of young peaty whisky but I think Kilchoman are doing extraordinarily well with the stock they have (founded in 2005, it’ll be a while before we see older releases). Mind you, young peaty malts aren’t to everyone’s taste I suppose (though I bloody love them!). At around £50 per bottle, it’s not cheap. But given this is uncoloured and non chill filtered Islay from a tiny farm that malts and peats their own barley on site, I’d be happy to part with my cash to support their endeavours. 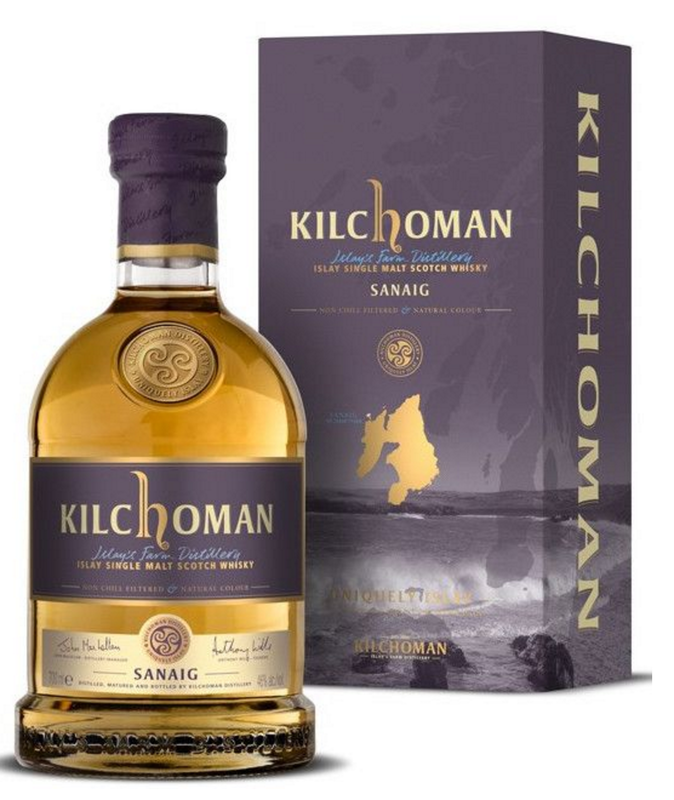 The Kilchoman Sanaig is on Master of Malt for £49.84.